I am a skilled writer, ghostwriter, editor, and proofreader with some twenty years’ experience writing a wide range of materials to help businesses and the people who work in them. I...Read moreI am a skilled writer, ghostwriter, editor, and proofreader with some twenty years’ experience writing a wide range of materials to help businesses and the people who work in them. I have published seven business books, two of which were in collaboration with Steven Miscandlon. 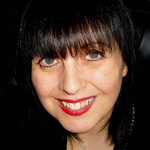 (Find out more about us here: www.mlwritingservices.co.uk/) As a fiction writer, I have published novels, novellas, and collections of short stories, as well as having stories published in various magazines and anthologies. I have also ghostwritten works of both non-fiction and fiction. In addition, I have written magazine articles, blog posts, web copy, promotional materials and creative pieces. I am well versed in writing about 'soft' skills and also have a knack for making difficult subjects easy to understand. I have designed and developed training materials that have been used both nationally and internationally. These have included: a two-week training programme for young entrepreneurs; a one-day business ideas generation workshop; and a series of one day training workshops covering subjects including customer care, project planning and management, and building and leading teams. I have a great deal of experience as a proofreader and copy editor, having worked with clients writing in many different genres and in both UK and US English. Whether you want material written, rewritten, edited or proofread, please get in touch. It costs nothing to chat and we might both benefit greatly. Julie did a great job. Very thorough and flushed out a couple of factual bloopers too. I’d have no hesitation in using Julie again. Julie has been excellent in helping me as a book writing coach. She has been professional and personable in her approach and gave me such clarity in the story I want to write with her planning techniques and support of what I'm trying to achieve. She is a very talented writer herself and with similar tastes in genre it was a good match to choose Julie to help me with my project. I'd love to work with Julie again and would highly recommend her services to anyone with the opportunity to work with her. Julie was very accommodating, quick and thorough. Very happy with the proof-reading. by Let Me Retire L.
Julie did a wonderful job editing a tricky technical document for me. I look forward to the opportunity of working with her again. Thank you – it was my pleasure. Julie was eager but patient for my delayed book and her proofing was fantastic. Thorough, helpful and supportive. Enjoyed working with you Julie. Thank you! Thank you, it was an absolute pleasure! So impressed with Julie's attention to detail, professionalism, comprehensive explanations of her editing and friendly, helpful manner. Julie met her deadlines and was an absolute pleasure to work with. Highly recommended! Thank you – it was a pleasure for me, too. Really helpful and professional. Thanks, a pleasure to work with you again. Thank you, it was my pleasure. Glad it was useful! Julie's work is remarkable. I could not have hoped for a higher level of craft. As an editor/proofreader and fact checker, she is without peer. I am happy to recommend her work to everyone - actually I already have recommended her to two other novelists and friend in the corporate world. I will work with Julie again and again. Thank you, I'm glad it was useful. And it was an absolute pleasure to work on the book for you. I very much appreciate the opportunity. First class writer and very professional; highly recommended. Julie is certainly a master of her craft. I'm very grateful for the effort you have clearly put in and also creativity that you added to my story. Thank you very much!